bracket can be either welded or bolted into position. Kit includes hardware, mounts and brackets, and conversion manual. 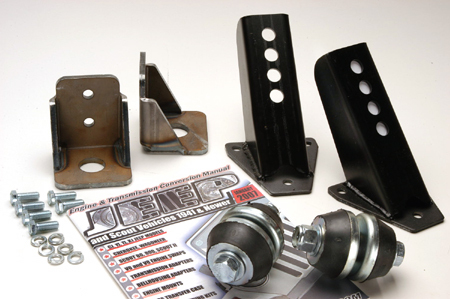 Designed using 3/8 material, these mounts will handle any style of driving.